Time to spellebrate Legacy Day at Ever After High! At this epic event, the teenage sons and daughters of famous fairytale legends will pledge to follow in their parents' fabled footsteps… but the script is about to be flipped on this Ever After Royal leader. 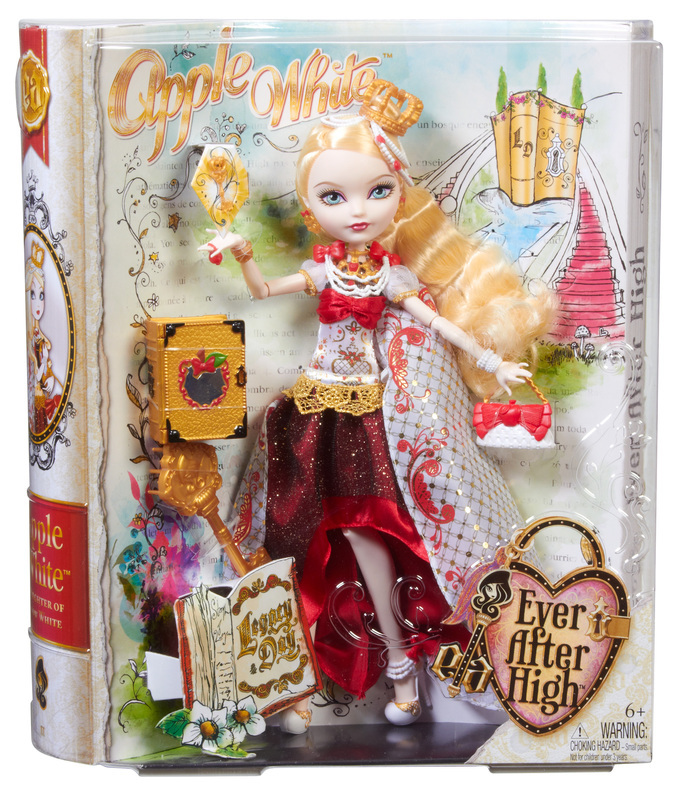 Filled with anticipation, Apple White, the daughter of Snow White, is positively charming in a floor-length gown and cape in her signature colors and with royal embellishments. Apple doll also comes with a doll stand, doll hairbrush and book to store spellbinding accessories! Ages 6 and older. Apple White, daughter of Snow White, is hexcited to follow her Happily Ever After in her royally radiant Legacy Day look! 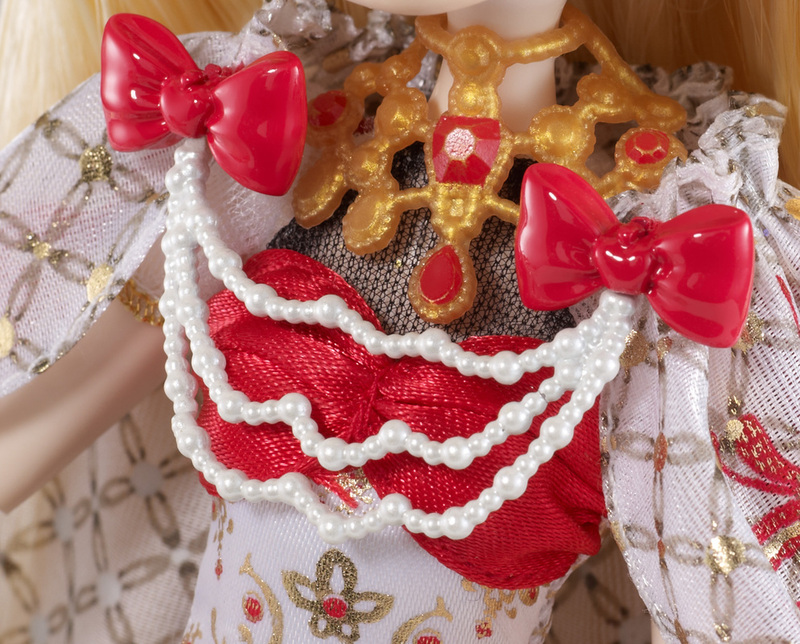 Filled with anticipation, Apple White doll positively charms in a floor-length gown rich with red and gold details and a luxe cape that is only fitting for such an epic eve. 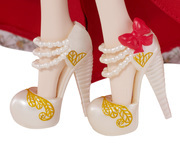 A golden crown headpiece with pearl beading and ornate sweetly accessorize this Queen bee"s outfit, which is finished off with perfect pearl and gold heels with an apple red bow and delicate ank straps.